We are doing a research project next week to correspond with iWalk (October 9) and iCount (October 10) and we need volunteers to participate in the study. We developed an Android app that records travel patterns using GPS and Bluetooth information and we will study how the information we receive corresponds with iCount. 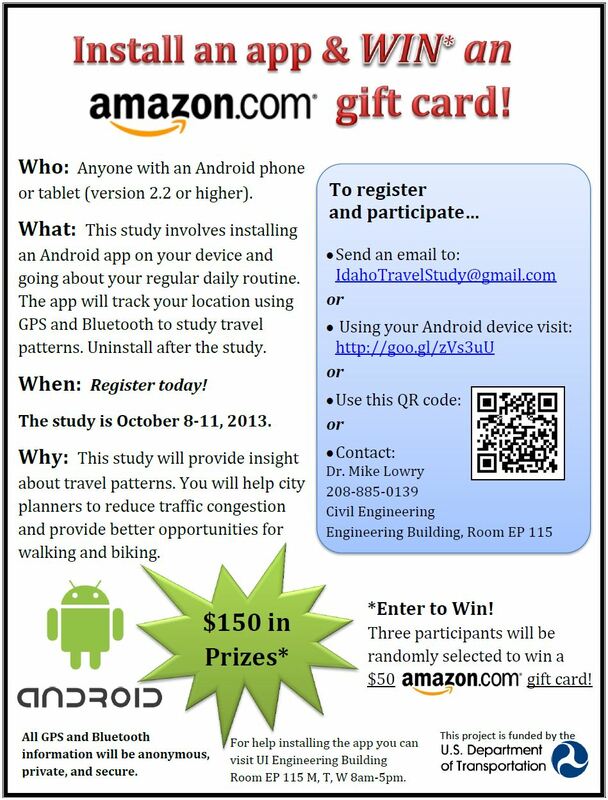 You do not need to be involved with either iWalk or iCount to participate in our travel study. If you have an Android phone or tablet you can participate. All you need to do is install the app on your device before October 9 and uninstall the app on October 11.